Sometimes homework seems like it's more for the parents than the kids. Deb shares why she's fed up (and you should be too). Recently, at my kids’ school we had: a Science Week, which required a science project from each of my three kids; Roman Day, which required building a Roman shield and creating a Roman costume with/for my twins; and Sports Day, where parents were asked to come and watch races for four hours. Plus, my older son had to pull together presentations on a variety of topics—using PowerPoint! This is in addition to nightly reading, spelling, and times-tables practice, and weekly math, English grammar, and comprehension homework, plus regular topic-related research. It got me wondering: Do schools not know that most moms work? Who is this homework for, anyway? How on earth are we, as busy working parents, supposed to help our kids get all this work done? My problem is perhaps particularly acute, as I have three kids all in (basically) the same age bracket (seven, seven, and nine) who need supervision for homework, if not hands-on help and guidance. This homework feels like a lot of extra work and effort for me, as well as for them. It reduces my time with my kids to basically feeding, homework, and then directly to bed, as I spend about 30 minutes with each child every day doing homework. It makes the time with my kids less enjoyable. They don’t want to do homework, so they drag their feet. I try not to get irritated, knowing that I also don’t want to do homework. Let’s put an end to homework! My kids are at school for about 7 hours per day, and are awake (or out of bed, anyway) for about 13 hours each day. Surely 7 hours is enough of their day for schoolwork? And if they can’t get the work done at school, then let’s extend the school day, or figure out how to run the day differently. Let’s not impose on families who have limited time together. I know that schools are now moving to reduce homework, which I think is good for families. But some days it does not seem to be moving fast enough to benefit my family situation. I may sound like an underachiever. Or lazy. I don’t think I’m either. I believe passionately in the power of education. I have a lot of ambition for my kids. But we also need time to have fun and develop our interests, ourselves, our relationships, and our other skills, be they sports, art, or archery! There’s more to life than schoolwork. Sometimes homework seems like it's more for the parents than the kids. Deb shares why she's fed up. I agree with you. For working parents, it becomes difficult to help their child with homework. 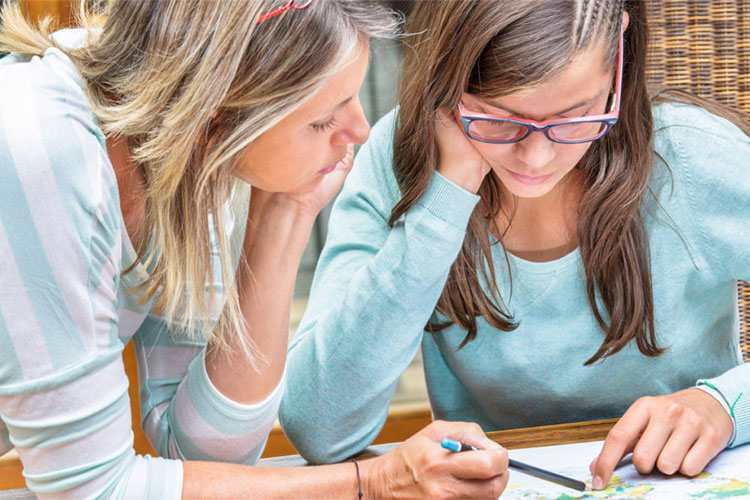 Kids need someone to help them out with their homework so its parents’ responsibility to help their child figure out exactly what worries them about homework. If your child continues to struggle with homework then it can be a good decision to get help from online assignment writing services or assignment help providers. Online homework help will solve your problems as your child will get assisted by professionals only who will help him in doing his homework on time.